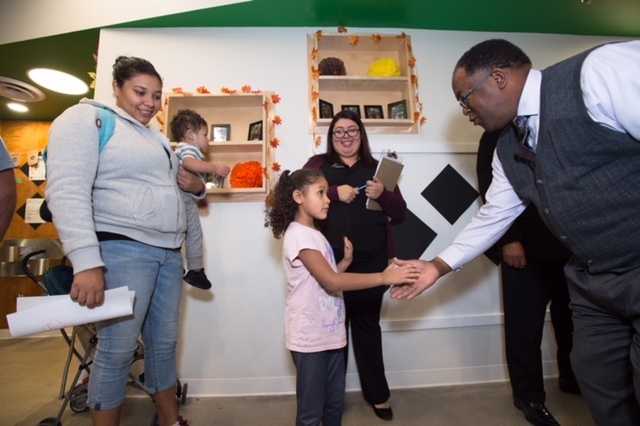 Supervisor Mark Ridley-Thomas welcomes children and parents at the MLK Learning Center open house. All photos by Bryan Chan/Board of Supervisors. The latest jewel on the Martin Luther King, Jr. Medical Campus is a Learning Center that will serve up to 100 children of medical staff and the surrounding community of Willowbrook. Celebrated by children, parents and caregivers at a recent open house, the facility includes a 9,000-sq. ft. playground, pint-sized tables and chairs and, of course, lots of cubbies. 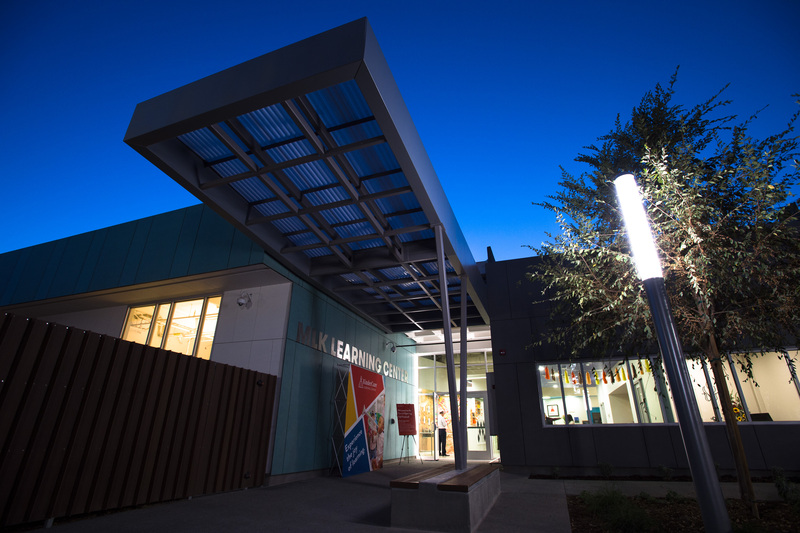 The interior remodel includes two infant rooms, two toddler classrooms, three preschool classrooms, an administrative office, reception counter, staff lounge and support spaces. The outdoor playground area includes walkways, shade structures, fencing, landscaping and rubberized matting. KinderCare, a nationwide care provider, will operate the center. 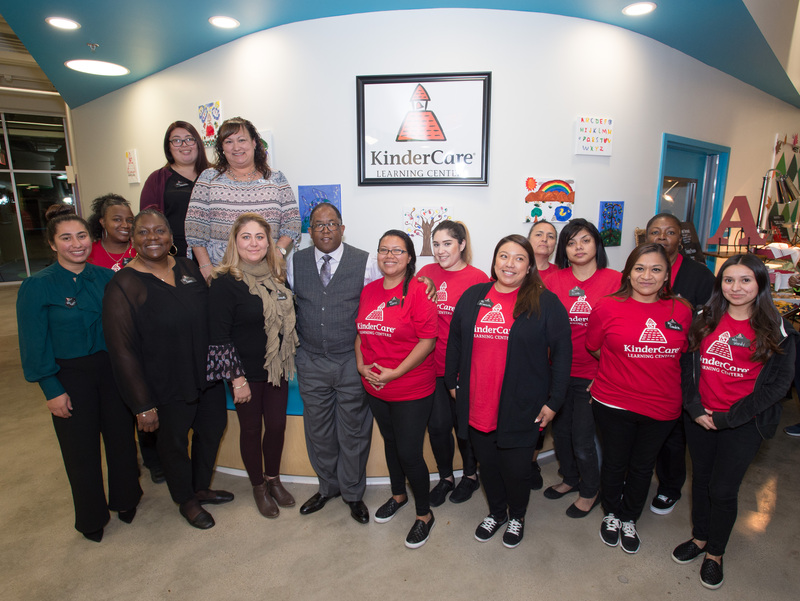 No stranger to providing care to Los Angeles County’s youngest constituents, KinderCare also operates the facility at the Harbor-UCLA Medical Campus and at the child care center located at 83rd and Vermont Ave.